This blog keeps a record of publicity that we receive in the media, and also people who support us and mention us. Operational Manager Chris Mitchell interviewed on BBC Tees yesterday about coping with Asperger's Syndrome and his challenge to raise much-needed funds for the Daisy Chain project. Chris gave a talk at the World Autism Day Conference at Teeside. 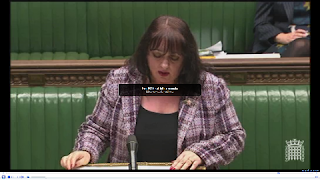 PARLIAMENT: Autism works mentioned in Parliament! Fast forward to 18:32 to see the piece about Autism Works and Chris Mitchell.